Şenpiliç is a major poultry processor in Turkey, producing for the national and export market. To be able to ship the wide variety of processed chicken products to the right customers, their new greenfield plant requires some pretty complex logistics. No wonder Marel Poultry is Şenpiliç’s choice when it comes to keeping control of all packing, batching and labeling operations. 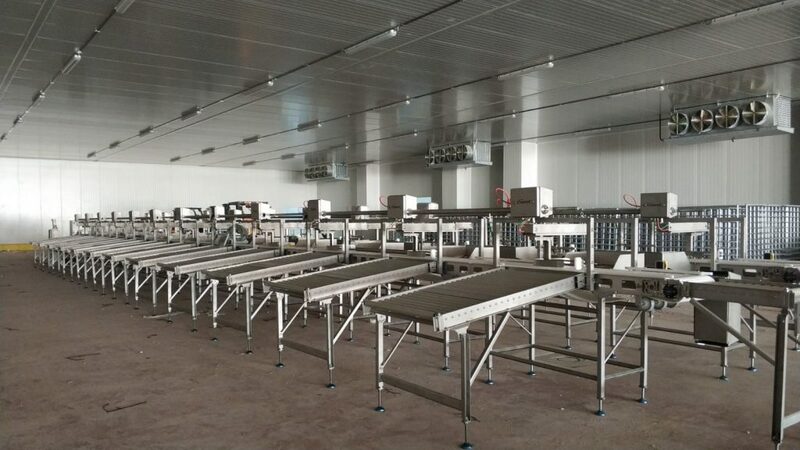 For Şenpiliç’s new high-capacity poultry processing plant, it was a main concern to lay out a clear end-of-line logistics plan, allowing the handling of a multitude of end products. Nine Marel Weigh Price Labelers in total are in charge of this job now, all controlled by Innova software. The quantity and variation of products Şenpiliç has to dispatch at the end of the process line is quite extensive. To keep a clear overview of all these product flows in our plant, plant management needed professional support from a supplier who knows what they ask for. Marel is such a partner. Şenpiliç is very pleased with the solutions Marel offered and particularly with the way Innova software keeps control of everything. 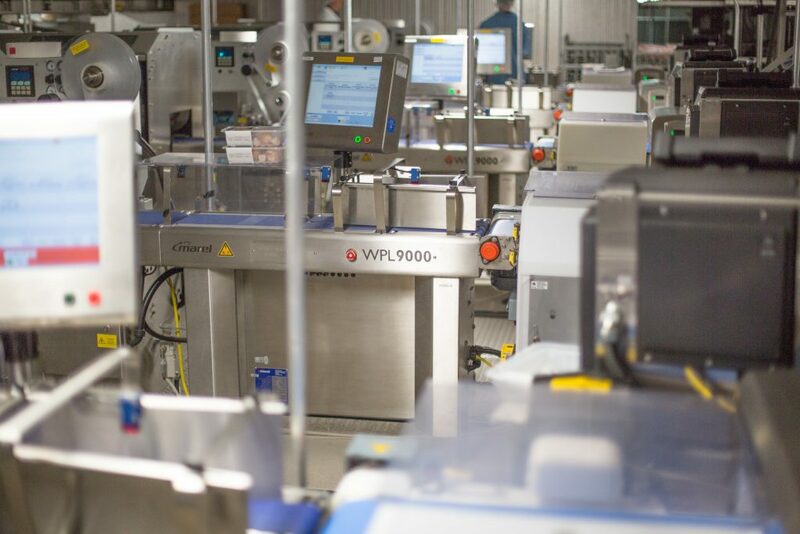 It connects every step of the packing process and ensures precise order fulfillment. Giblets are interesting products for the Turkish retail market. Many Turkish supermarkets will have them packed in trays in their shelves. Şenpiliç and Marel Poultry have found a flexible solution to create such trays: two Marel MultiHead Weighers. One of them is weighing and batching gizzards, the other one does the same with hearts and livers. The products are allocated to one of the 14 pockets and each pocket gathers the contents for one tray until the target weight has been reached. After that, the fixed-weight batch is released to a tray, which is aligned on a conveyor belt underneath the MHW. For the cut-up chicken pieces, Şenpiliç applies a different approach of batching and packing. The company has implemented two high-speed SmartLine Graders to grade their bone-in thighs and drumsticks. These leg pieces are the only products to be graded and batched automatically to compose fixed-weight trays. All other cut-up pieces such as wings and fillets are packed manually to compose catch-weight trays, while whole birds are packed into individual bags. Concerning these products, Şenpiliç decided to batch them after packing. That’s because the company uses the weighing function of its nine Weigh Price Labelers as a basis for batching operations downstream. Şenpiliç’s tray-packed wings, drumsticks, thighs and fillets are sent to five Weigh Price Labelers. While being weighed and labeled in the WPLs, trays have their information sent to Innova. Now, Innova can decide how and when the downstream Marel TrayGrader packing stations will unload each tray to its right location. On the five TrayGraders, the total target weight of every box to be composed is calculated accurately. Three more Marel Weigh Price Labelers are implemented to label and weigh bagged whole birds, fresh and frozen. All cut-up pieces, which are destined for bulk sale, are conveyed to a ninth Weigh Price Labeler. Now that all products have been boxed, the process shifts from catch-weight trays to fixed-weight boxes. This is needed for the final packing stage, where a large Marel BoxGrader takes care of grading, sorting and diverting of boxes. Innova grading software allocates the 8 to 12 kilo boxes to a predefined location. In this case, the boxes are unloaded from the main conveyor to one of the 24 roller belts. According to purchase orders, boxes are collected to compose a pallet, ready to be shipped directly to customers with Şenpiliç’s large freight truck fleet. 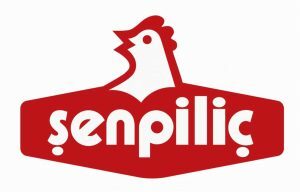 Established as a small broiler farm in 1978, today Şenpiliç is Turkey’s biggest chicken meat producer with 16% market share and 320.000 tons/year production quantity. As a pioneering brand in the chicken sector of Turkey, Şenpiliç operates 24 breeding farms, 2 hatcheries, 2 feed plants, 2 processing plants (Söğütlü and Alifuatpaşa) as well as a further processing plant. The company employs 3,074 people directly and 10,000 people indirectly. Şenpiliç well respects food safety and quality requirements. The production in the processing plant is under the control and supervision of the Turkish Standards Institution (TSE) and the International Organization for Standardization and is certified with ISO 22000 Food Safety Management System Certificate, ISO 9001 Quality Management System Certificate and HACCP 13001 Certificate. Şenpiliç’s processing plants hold the Halal Food Certificate awarded by TSE. Şenpiliç has also obtained the GOST-R certificate required for all retail and wholesale goods traded within the Russian Federation. Previous Post: Why is the number 23 560 important for the food and HORECA sector?